I have been a car collector for 35 years. This is one of the beautiful classics from my personal collection, see others at www.gccc.us. 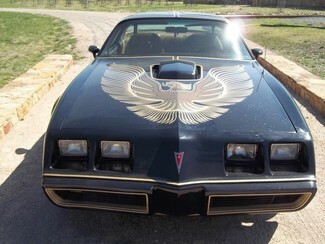 What collector would not love to have a Real, Smokey and the Bandit, edition. The Vin # is specific to the authenticity of the special edition Firebird Transam. Everything is new, Motor (new 350cu inch 350HP) transmission, brakes, everything! I have seen lesser Transams sell for more money than I am requesting. If you see it, and better still drive it, you will buy it. Smoked glass T-Tops. 4 wheel disc brakes , PS, PB factory AC.